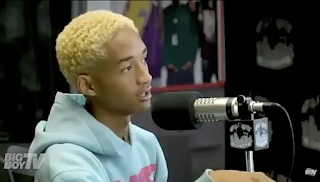 Back in March Jaden Smith was quoted in Complex Magazine claiming Drake, Donald Glover and Kanye West shunned him after his single 'Icon' starting moving up the Billboard charts [click here if you missed that]. I can believe they lied and twisted that story. The alleged shunning by those 3 did seem excessive or exaggerated. I think because they are kids of Will and Jada people feel their entitled. Magazine interviewers purposely edit the responses to make them come off as something different which is why many celebs don't even bother. All I know my 16 year old son, played that damn icon song so much, I fell in love with it and had him put it on my playlist.